Working in partnership with galleries, innovative spaces, new talent and marginalised artists to bring art to the widest possible audience. 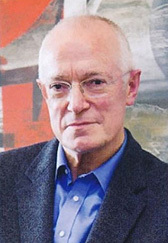 Chris Ingram, a serial entrepreneur and philanthropist, began collecting in 2002, and within a decade, had created a substantial private collection of Modern British Art, which was being regularly requested for exhibitions and loans to both national and international galleries and museums. The calibre and breadth of the collection, together with its active lending policy, means that The Ingram Collection is now recognised as one of this country’s most significant, and publicly accessible, collections of Modern British Art. In recent years, The Ingram Collection has ventured into two new areas – supporting recently graduated and emerging artists, and exploring how access to art – making it as well as seeing it – can improve outcomes for disadvantaged groups. The Ingram Collection now holds over 600 works of art across these three distinct collections – The Ingram Collection of Modern British Art, Young Contemporary Talent, and Inside Out – all of which are available to borrow. We are committed to using our collections to ensure that everyone has the opportunity to be inspired by art, no matter what their location or circumstances. Explore the site to find out more about our collections, where to see them, and how to borrow them. Chris is known as the inventor of the modern media agency. In 2008 Chris was recognised by Campaign’s Hall of Fame as one of the individuals who have helped shape the UK’s advertising industry. Chris is actively involved in the charitable sector through his family trust, The Ingram Trust which supports approximately two dozen charities both national and international as well as locally in Surrey. Chris’ weakness is football and since rescuing Woking Football Club in 2002, he was the owner until 2012. He is now their landlord having given the club a demanding 125 year lease at £1 per year. He says: “The moment I became passionate about art was in the late 1960s. While touring the Hermitage Museum in St Petersburg I came across a large room full of Impressionist paintings. It was a eureka moment! Collecting began much later and only started seriously when I discovered Modern British Art”. 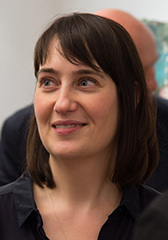 Jo joined The Ingram Collection in 2013 from Christie’s, where she had been a Director of Christie’s UK and ran the 20th century British Art department at Christie’s South Kensington. She has worked in the field of Modern British Art since 2001. Jo studied Modern History at Brasenose College, Oxford and holds an MA in History of Art from the Courtauld Institute of Art. Jo’s particular passions are for 20th century sculpture and supporting and nurturing young artistic talent. 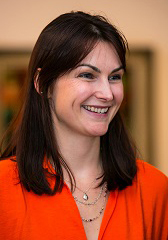 Alison joined The Ingram Collection in 2014 from Sotheby’s, where she worked across a range of specialist departments, most recently as Business Manager for the Old Master Paintings department. She studied English at Jesus College, Oxford and holds an MA in Early Modern Studies from King’s College London. Alison is a singer with a love of Renaissance music, performing regularly with chamber choirs around London. Working with Modern British art is gradually bringing her (almost) up to date. Works from The Ingram Collection are on medium-term loan to The Lightbox gallery and museum in Woking, Chris Ingram’s home town. Four exhibitions each year are drawn exclusively from the collections, and art works are also rotated on display in the public galleries, increasing the opportunity for the public to see some of the finest examples of Modern British art. Much of The Lightbox’s learning and engagement programme is built around the collection, with unrivalled access to works across the collections for projects involving students, mental health service users, blind and partially sighted visitors and other community groups. This relationship began in 2008 when Chris Ingram agreed to loan The Ingram Collection to a new gallery and museum planned for Woking. 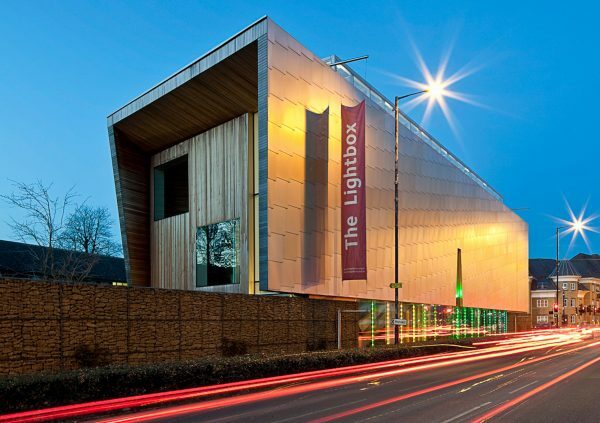 The Lightbox won the prestigious Art Fund Prize in its first year, and has achieved widespread acclaim as one of the most exciting cultural spaces in the South East. To see our current exhibitions at The Lightbox click here. 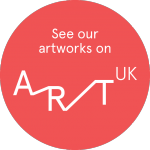 We are proud to be a Founder Partner of Art UK, the online home for art from every public collection in the United Kingdom. Every effort has been made to contact copyright holders for permission to reproduce images and we are grateful to everyone who has assisted us. Please contact us if any acknowledgements have been omitted. Our particular thanks to John-Paul Bland Photography.